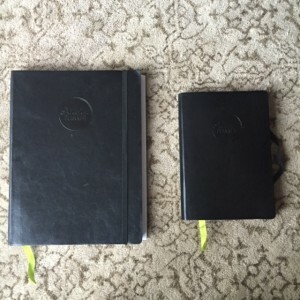 Last year I bought a Passion Planner and optimistically blogged about it. 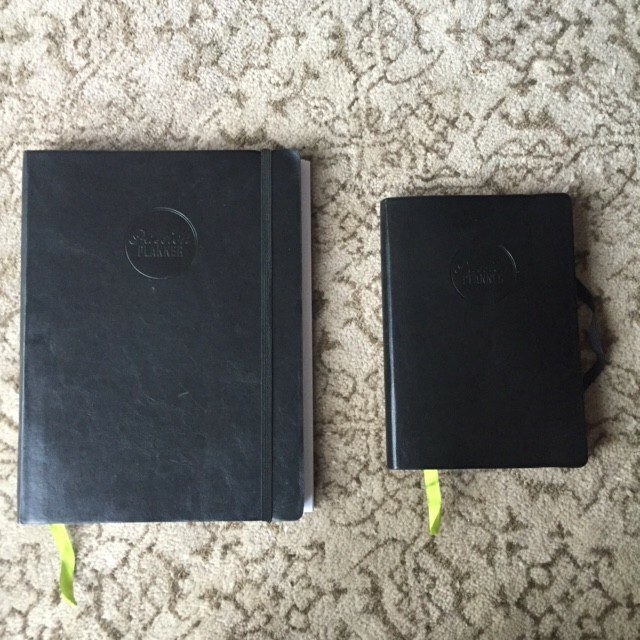 You can read my 2015 Passion Planner post HERE. 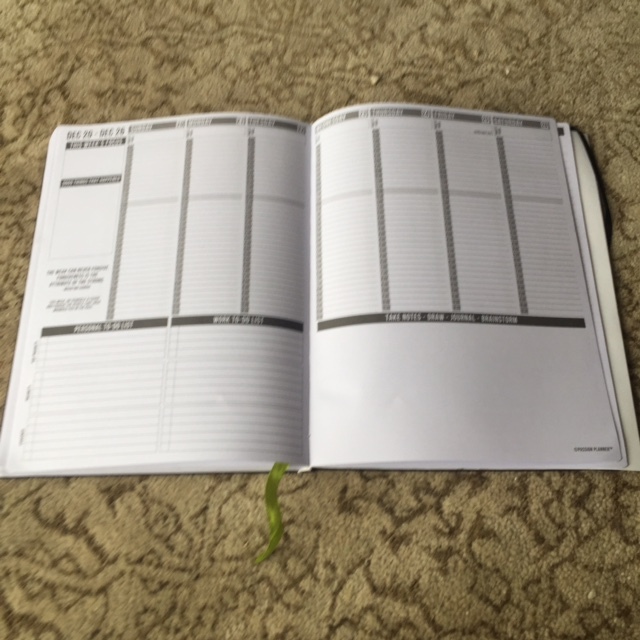 But now, it’s 2016 and I wanted to let you know how my planner worked out for me. First of all, I had every intention of purchasing another one. I really love it a lot! 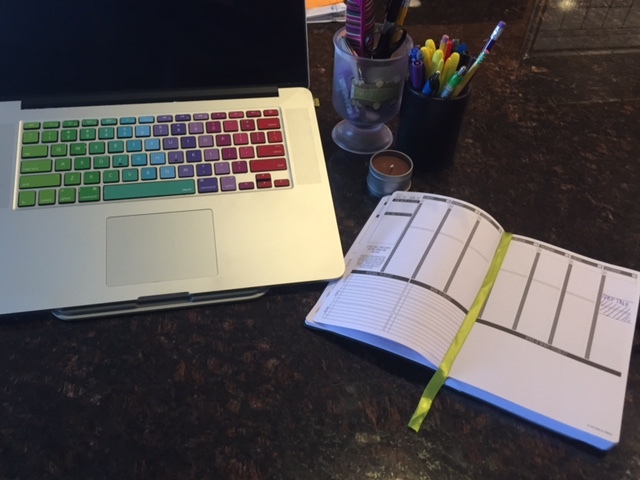 But I became very excited at the end of the year, when I learned that there was going to be a mini passion planner on the scene in 2016. 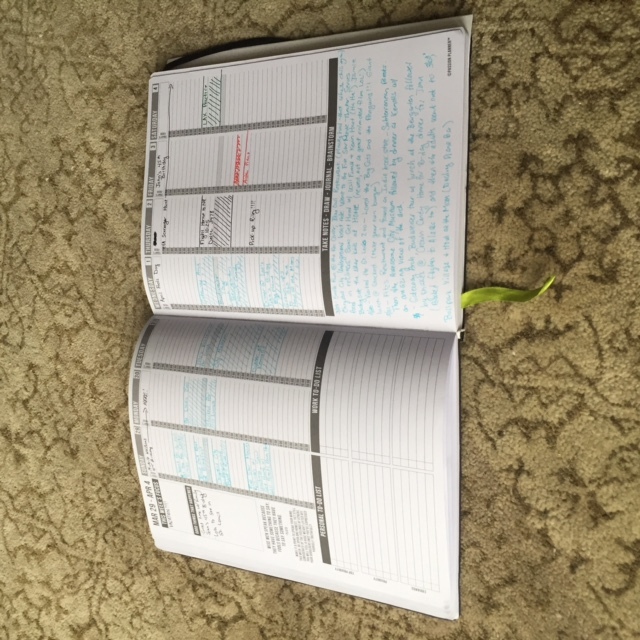 The size of the planner was one of the main things I struggled with. I loved the space to write, but it took up way to much personal space on the counter near my computer. 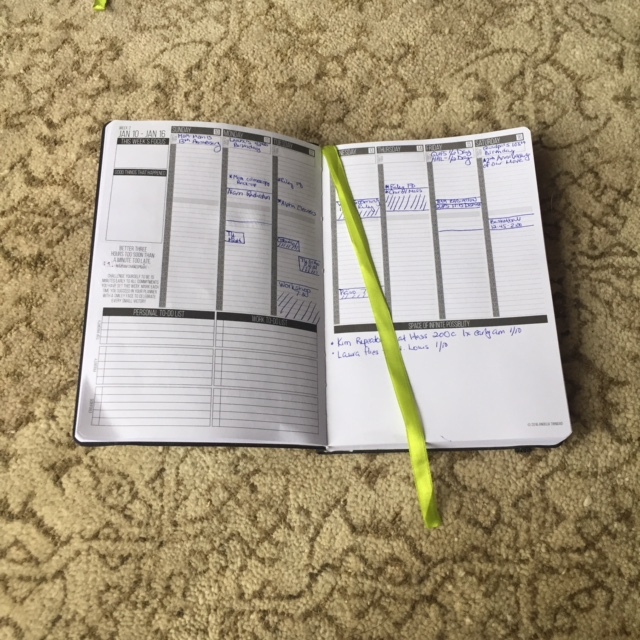 I tended to close it up and leave it behind my laptop, which kind of defeats the purpose of having the planner accessible. 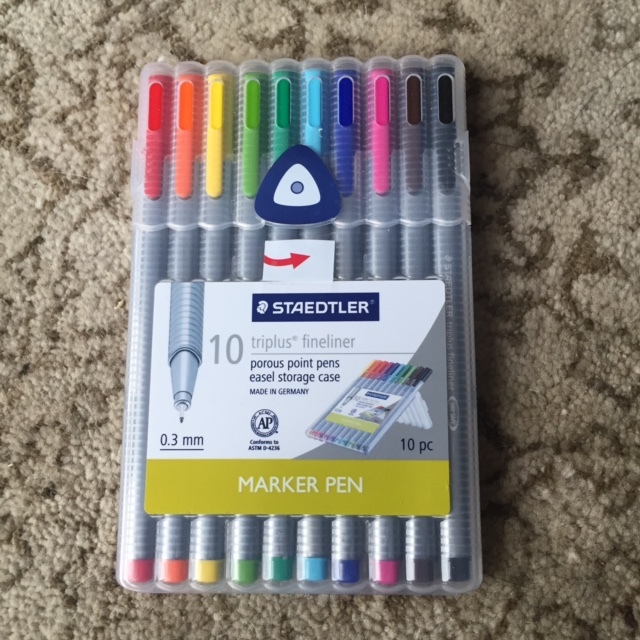 And using these pens in my planner will make me happy because I had to STOP using these pens in my planner. I know, you’re confused, but I can explain. 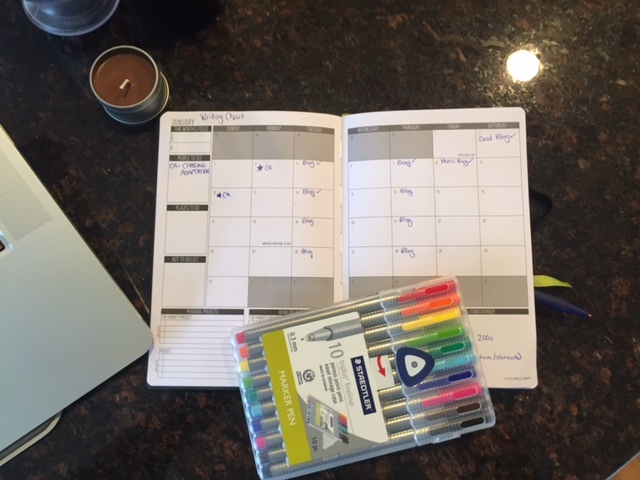 I LOVED sitting down and color coding all of my weekly events with my fabulous new pens! I really did, but it took up too much time. Time I didn’t have to fart around with–even when I was enjoying it. On a good day, it was time I didn’t need to waste. I wasn’t really good at finding a middle ground. Not helpful anyway you flipped the pages. Instead of setting myself up for failure, I’m using one pen at a time and one pen only. No excuses! I’m also consolidating some of my other calendars. 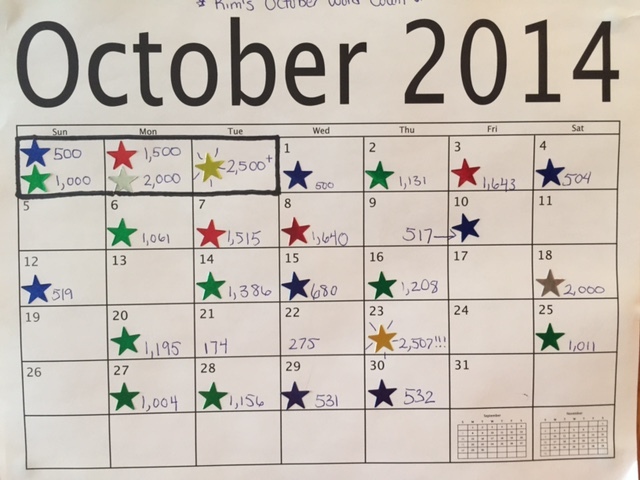 In the past, I have a tendency to place a printed monthly calendar on the cabinet in front of me to track my writing progress. That calendar is ALWAYS changing. Some days I need to tightly track my word count. Other days I need to acknowledge that I’m revising but not track word count details. Some days it’s a mix of several things I’m working on. My needs and my accountability is fluid with the calendar. 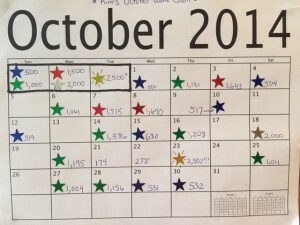 I also keep a white board calendar in a different location, reminding me of my blogging days and author related activities. This calendar used to be above my desk (where I did my writing.) But once I moved to my new house, it didn’t quite play out like that. 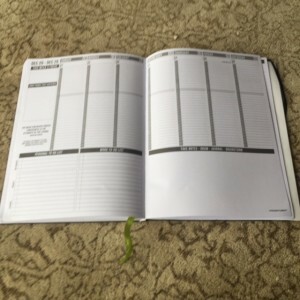 So, in 2016 (since this mini version) is right next to me) I’m keeping track of all of this stuff on the monthly pages of the planner. It’s a work in progress–I’m just starting to dabble with it, but I think I’m going to like this even better than what I was doing before. And then I’ll have a place to keep that info without papers being lost–because if you know me–you know I stash them in the oddest of places. You know, to keep them safe. 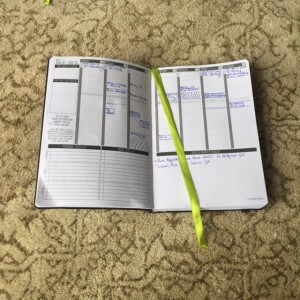 Overall I’ve found that the more accessible I keep the planner and the simpler I make my process, the more I use it. And the more I use it, the more I get out of it. So, despite some design incompatibilities (for me) and a lot of operator head space on my part–I’m still a HUGE fan of my Passion Planner and I’m always finding new ways to alter it to best suit my needs. I anticipate a January 2017 update coming your way next year. Anyone else using a Passion Planner? 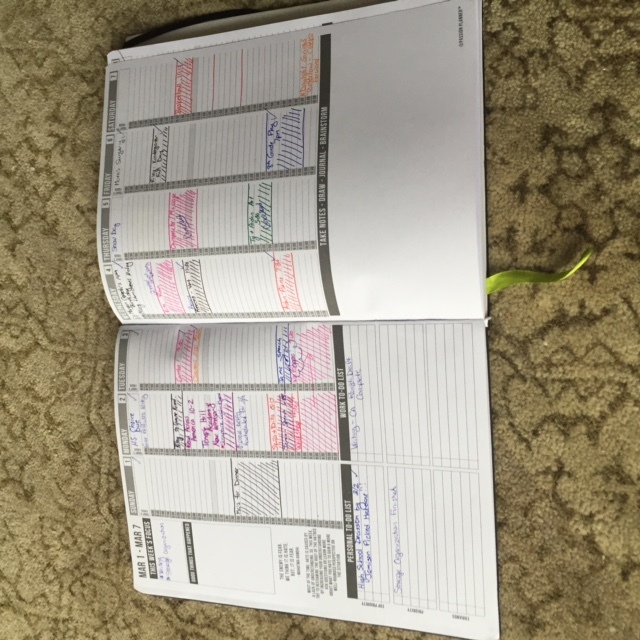 Do you have another planner that works or doesn’t work for you? 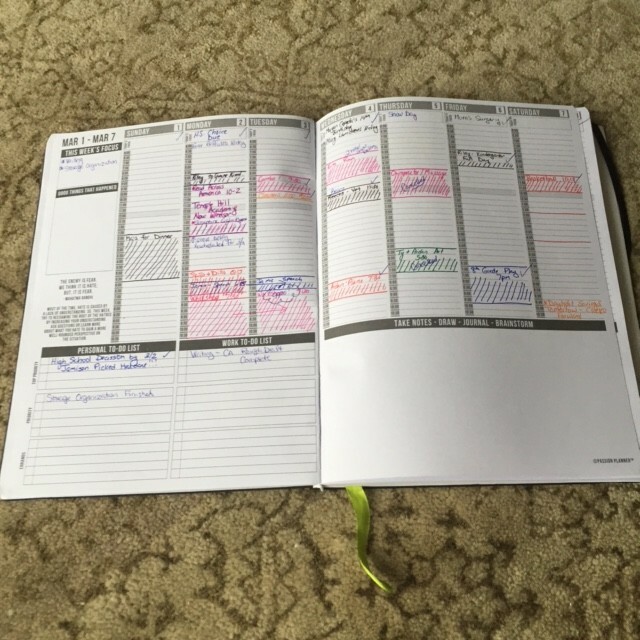 What are some of your best planner organizational tips? 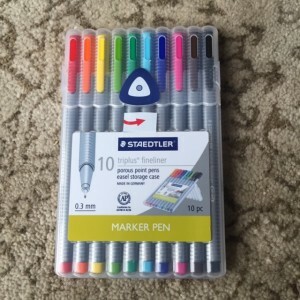 Do you LOVE colored pens as much as I do??? Tell the truth.